1. James Marion Sergent b 28 May 1866 d 1 Mar 1930 Democrat, Letcher Co KY; m. 1893 Letcher Co KY to Eula Breeding Hogg. 2. Joseph Richard "Dock" Sergent b 28 Nov 1868 d 22 Feb 1936 Thornton, Letcher Co KY; m. 22 Aug 1888 Letcher Co KY to Julia Hart b 5 Mar 1871 Letcher Co KY d 3 Feb 1942 Letcher Co KY; buried Sergent Cemetery, Thornton, Letcher Co KY; d/o John Hugh Hart and Jane Adams. Child of Joseph Richard Dock Sergent and Julia Hart; i. Nannie Sergent b 10 Oct 1902 d 23 Feb 1985; m. William Arthur Lucas b 1896 d 1986. Child of William Arthur Lucas and Nannie Sergent; I. Luther Jay Lucas b 1921 d 1945. 3. Andrew Jackson Sergent b 10 Jan 1870 Democrat, Letcher Co KY d 25 Jan 1957 Camp Branch, Letcher Co KY; m. 23 Feb 1891 Letcher Co KY to Louise Hart b 23 Aug 1873 Letcher Co KY d 23 Aug 1943 Letcher Co KY; d/o John Hugh Hart and Jane Adams. 4. Ada Sergent b 10 Jun 1872 d 18 Jun 1920 Millstone, Letcher Co KY; buried Riley Bentley Cemetery, Deane, Letcher Co KY; Findagrave Memorial; m. 28 Sep 1892 Letcher Co KY to Sherman Bentley b 10 Dec 1874 Letcher Co kY d 12 Feb 1920 Letcher Co KY; buried Riley Bentley Cemetery, Deane, Letcher Co KY; Findagrave Memorial; s/o William Riley Bentley and Lucinda Profitt. 5. 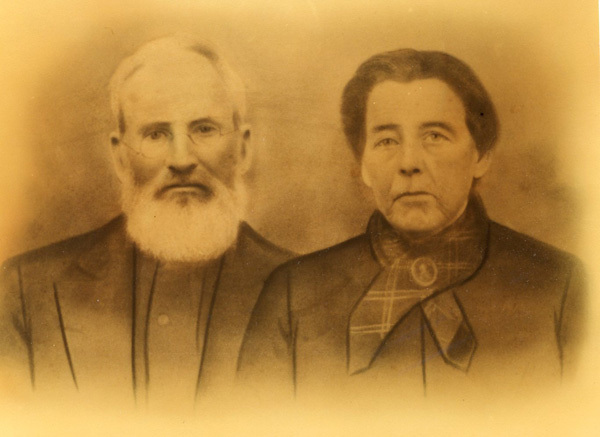 Elizabeth Sergent b 25 Apr 1875 d 22 Sep 1918 Democrat, Letcher Co KY; m. Martin Cook b 18 Sept 1877 d 23 Mar 1947; buried Colson, Letcher Co KY; s/o Archelous "Arch" Cook and Nancy Adams. 6. Stephen Sergent b 1 May 1876 Democrat, Letcher Co KY and d 12 Jun 1912 Democrat, Letcher Co KY; m. 1901 to Manerva Bentley b 13 Jul 1883 Letcher Co KY; d/o William Riley Bentley and Lucinda Profitt. Manerva Bentley m. (2) to Huram Pigman. Huram Pigman m. Sarah Franklin. Manerva Bentley m. Watson Hall. Sarah Franklin m. John Hamilton. John Hamilton m. Frances Willoughby. 7. Rawsey Rosa Sergent b 5 Oct 1880 d 1 Nov 1917 Beaverdam, KY; m. 4 Feb 1902 to Thaddeus Lowry Baker b 13 Oct 1880 Boone Fork, Millstone, Letcher Co KY d 4 May 1964 Beaverdam, Ohio Co KY; s/o Henry Baker and Martha Catherine Taylor. 8. Ritter Sergent b 25 Sep 1885 Democrat, Letcher Co KY d 16 Dec 1904 Millstone, Letcher Co KY; m. 1902 to Hiram Hall Taylor b 4 Sept 1878 Letcher Co KY d 6 Mar 1956; s/o James Taylor and Nancy Hart. Hiram Hall Taylor m. Martha Jane Holcomb b 14 Jun 1891; d/o Hiram Wesley Holcomb and Louisa Morgan. 9. Samuel Sergent b 4 Nov 1886 Democrat, Letcher Co KY d 4 Jun 1888 Democrat, Letcher Co KY.
10. Manerva Sergent b 1 Oct 1887 Democrat, Letcher Co KY d 1 Sep 1971 Whitesburg, Letcher Co KY; m. 10 Sep 1904 to Sherman Howard Baker b 22 Aug 1885 Beaverdam KY d 2 Dec 1966 Whitesburg Hospital, Whitesburg, KY; s/o Henry Baker and Martha Catherine Taylor. 11. Julia B Sergent b 17 Aug 1890 Democrat, Letcher Co KY d 3 Dec 1981 (Harrodsburg?) Stanford, Lincoln Co KY; m. 29 Feb 1912 to Willard Calvin Baker b 20 Oct 1889 Lee Co KY d 7 Mar 1976; s/o Henry Baker and Martha Catherine Taylor. 12. William Henry Sergent b 22 Jun 1894 Letcher Co KY d 3 Jun 1982 Letcher Co KY; buried Sergent Cemetery, Democrat, Letcher Co KY; m. 1917 to Ollie Cook b 21 Dec 1900 Letcher Co KY d 8 Dec 1942 Letcher Co KY; buried Sergent Cemetery, Indian Creek, Letcher Co KY; d/o Rosencrance "Crance" Cook and Emma Jane Crase.